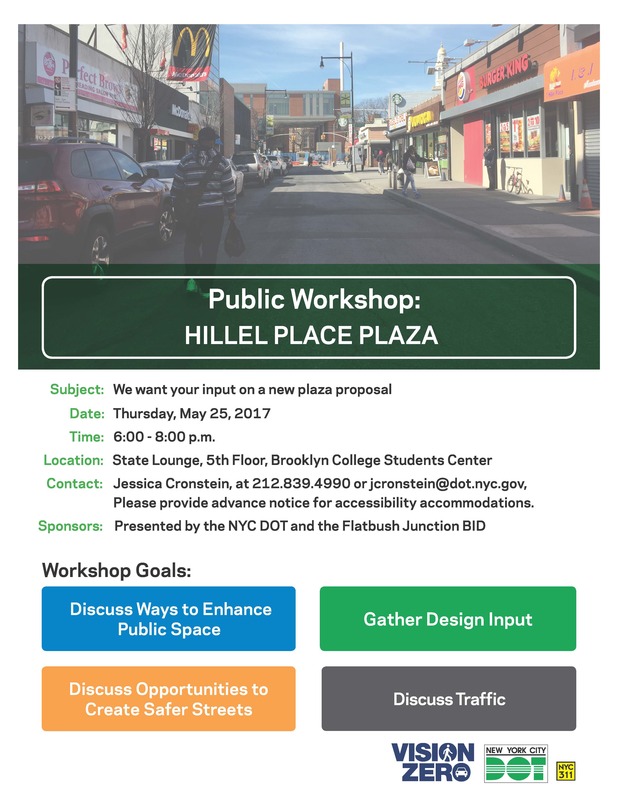 The NYC DOT will be holding a public workshop about the Hillel Pl plaza proposal. Please stop by to give your opinion and discuss other ways the DOT can create safer streets! The meeting will be held at the State Lounge which is located on the 5th floor of the Brooklyn College Student Center. It will be held from 6 to 8 PM. Click here for the same flyer in Hebrew. Click here for same flyer in Hatian Creole.